5 ways to use Facebook Messenger to improve your client’s marketing campaign. You must have observed a recent change in how people/businesses interact with each other through messaging apps like the Messenger and spent less time emailing for an engaging customer. Marketing through Facebook Messenger is easy and helps you connect with your customers in a more efficient and less time-consuming way. There are more chances of them opening the message that it is through emails. Push notifications through Facebook Messenger are a great form of marketing which the customer immediately knows as their phones vibrate. It is way better than the cart notifications sent via email that are noisy and also very distracting. You can easily help your customers with their needs through Facebook messenger instead of using a human help and you can automate this whole process online. According to statistics, there are over more than 1.3 billion users of Facebook Messenger monthly. Most customers are on Messengers which means for majority of the merchants Facebook Messenger is an important and valuable platform to consider for their product’s marketing. 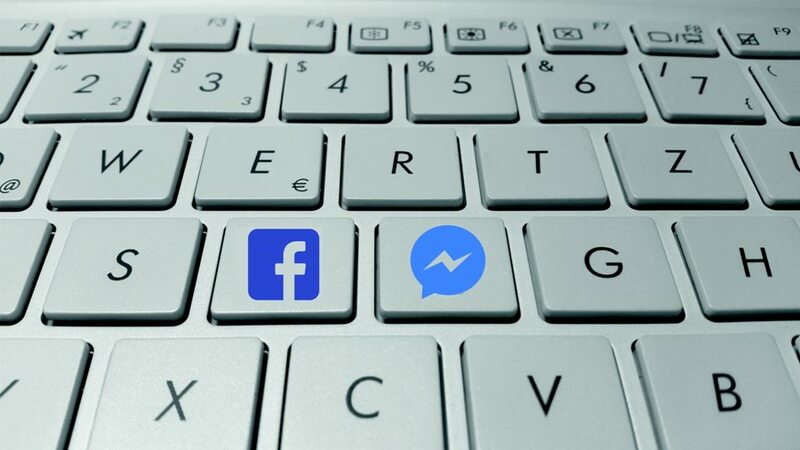 In order to communicate with their customer in a less time-consuming and more effective way, merchants are using different apps to control and run their Facebook Messenger automation. A customer of ours, Pure Cycles, were able to grow their revenue by 14% through Messenger. Your customers can take advantage of many Facebook Messenger automation flows and email automation flows that can make their journey smooth. We will now discuss five Facebook Messenger applications that you can use to improve your online marketing campaigns. You can set up your Facebook Messenger in a way that will send notification to your customers asking them if they want to complete the purchase that they added to their cart. Most of our clients that we have worked believe that they are connecting with new customers more through Facebook Messenger than through emails, and this is helping them to make increase their sale. They are converting their every 1out of 9 abandoned cart messages into profit for their business. It is convenient for the merchants to communicate more efficiently with potential customer by using abandoned card messages application. You can also set up Facebook Messenger to send an order receipt to your client’s customer after they complete a purchase. With the help of Facebook Messenger you can send an order receipt to the customer for their purchase. You can use this opportunity to thank your customer for their purchase to start a great client-customer relationship. This gesture will make your customer feel more special and it will create a strong bond with the brand. You can help your customer track their order by sending an order message to them. Although it seems a very simple gesture this can help you gain customer loyalty. Customers want to know about their order’s details and this will show that you care and will establish their trust on your brand. Greetings are the best way to start a conversation and you can do that by setting up welcome message to your customer ordering or visiting your brand for the first time. So when they visit you welcome them through a message and help them find what they are looking for. This will improve the customer experience and feel more connected. There are customers who want to order a whole list of products and you can use Facebook Messenger to find out what they exactly need by asking some question and recommending the matching products. In this way, the information you get can help you provide a more personalized experience to your customer. You can give your repeat customers a VIP treatment in this way. There are two ways to carry out Facebook Messenger Marketing: you can either use Facebook Messenger automation tool or you build on your own. If you opt for the second option, you have do some research and have to start coding if you want to build everything from scratch. There is this extensive developer documentation on Facebook that you can use for help. Shopify provides solution on Facebook Messenger automations, so if you don’t want to code and build everything on your own, partnering with Shopify would be really helpful. The solutions they provide will help you in tracking your work as well as providing all the above mentioned benefits as well. You will definitely see a surprising change once you start implementing Facebook Messenger marketing for your business. What is the future of marketing using Facebook Messenger? Showing an augment reality version of what the customer’s order would look like to the customer. Facebook Messenger marketing is going to inevitably change the online shopping experience, and the first stores to start working it into their campaigns will have a huge head start. Businesses that would be the first ones to work on it will definitely be in the lead.